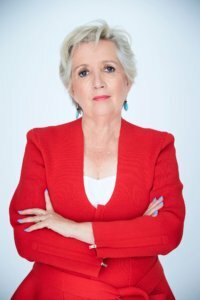 Jane Caro is an author, novelist, journalist, broadcaster, columnist, advertising writer and social commentator. She appears in the media regularly, including weekly spots on Weekend Sunrise, Gruen Transfer and Sunrise. She writes regular monthly columns for Mt (Management Today) Magazine and the Sun Herald’s Sunday Life. In 2018, Jane received the Walkley Women in Leadership Award. She is the author of three young adult novels about Queen Elizabeth I: Just Flesh & Blood, Just a Girl, and Just a Queen; a book of essays, Accidental Feminists; and edited an anthology of feminist writing, Destroying the Joint. Jane is part of our 2019 conference. Jane’s latest historical novel is Just Flesh and Blood.